Happy 50th Birthday, Orchesis Modern Dance! When you’re a dancer with Orchesis Modern Dance, in Edmonton, Alberta, Canada, you know the end of January means only one thing – time for Motif! On January 30-31 2015, Orchesis will present its annual Dance Motif, a performance of the modern and jazz dances choreographed by Orchesis faculty, guest choreographers and students. This year’s Dance Motif, however, is very special because it marks Orchesis’ 50th anniversary as the University of Alberta’s Modern Dance Group. It was created by “dance educator Dorothy Harris in 1964” and it’s “one of the oldest student organizations” at the U of A.
I loved dancing with Orchesis and thinking about my dance family getting ready for the 50th anniversary show has me feeling my first big pangs of homesickness. I so wish I could be there to help them celebrate! But since I can’t be there, to honor the organization that means so much to so many, I’m excited to share my favorite memories of Orchesis with you. So here they are, in no particular order, and I hope you enjoy this birthday ode to Orchesis. I was 14 years old when I watched my first Orchesis Motif back in 1999. I remember sitting in the Myer Horowitz theatre with my parents, watching my big sister Salena in a piece called ‘Shadow Dance’. There were lights in the wings and on the corners of the stage, so the shadows of the dancers were cast on the backdrop, hence the title of the piece. It was a beautiful sight – the way the shadows became ghostly partners of the dancers. It was the first time I’d really seen how the lighting design can support the choreography onstage and take the performance to next level. It was so different and exciting and I wanted to see more. The next year’s show was also very memorable. It was the first time my sister’s then-boyfriend-now-husband came to the show and I’ll never forget how he set the bar super high for all dance boyfriends when he walked into the theatre with - not one - but two dozen roses! That show had dancers swinging from a huge net strung across the stage, musicians accompanying the dancers onstage and a piece involving dancers painted head to toe to represent the various elements of the world. Salena was painted blue, like water. It was dance at its most different and distinct and it opened my teenaged eyes to a whole new world. Salena and I in our natural habitat: a dance studio! There’s almost six years age difference between me and Salena, so when we were dancing growing up, we were obviously in different levels. 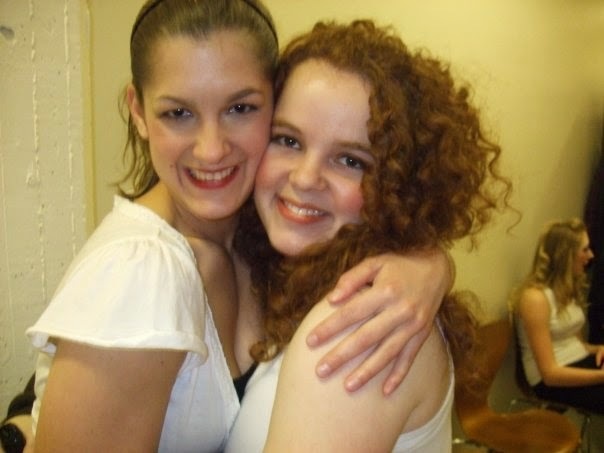 But when I joined Orchesis during my first year at U of A, I finally got to take class with her! She introduced me to the Orchesis community and in 2006, we were both in the modern jazz piece, choreographed by the great Laura Krewski. When our parents came to the show, our Mom said it was a special thrill to see her girls dancing side by side. We’ve since enjoyed many more Orchesis classes together over the years, as well as ballet and contemporary at J’adore Dance. I can’t wait to take her to class at the Centre de Danse du Marais when she comes to visit because dance is what we do! Salena will be performing in Motif 2015 and I couldn’t be more proud of her. One thing I learned in Orchesis is you can’t not be friends with someone after you’ve pretended to be seaweed together. I remember it so clearly: we were halfway through the rehearsal process when our choreographer had us hold our shoulder-stands and let our legs “drift above us in the air, like seaweed”. I was very firmly out of my comfort zone but I went for it. After several attempts, we took a break and I asked another dancer: “That was weird for you too, right? Being seaweed? Because I thought that was weird.” She nodded in agreement and that was the beginning of a very important friendship; eight years later, that other dancer was one of the bridesmaids at my wedding. When I think back on the people I met at university, the ones I’m still close to are my Orchesis people. When someone trusts you enough to let you stomp around them when they’re lying on the floor, that’s not just any friendship, that’s a dance friendship. When you’re tired, sweaty, sore and you want to give up, but you don’t because your fellow dancers give you that extra bit of energy, that’s when you know you’re around amazing dance people and those are the bonds of friendship forged in dance. Orchesis has some of Edmonton’s best dance educators and choreographers, which makes its members incredibly lucky to work with such amazing people. Over the years, I’ve taken modern and jazz from many different teachers and learned so much from them. Working with different choreographers for Motif has also given me so many great memories. The year Laura Krewski choreographed a beautiful, bluesy jazz piece to selections from Oscar Peterson’s Canadiana Suite was one of my favorite jazz dance experiences. 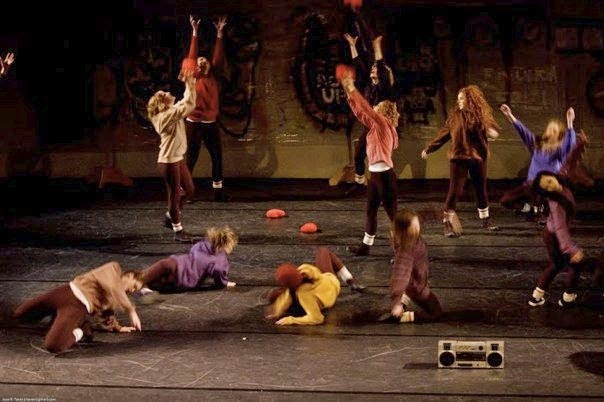 I was really pushed by Jeannie Vandekerhove’s piece Prenzlauerberg, which involved some of the most physical, get-into-the-floor choreography I’ve ever performed and holds the record for the most knee bruises I’ve ever received while dancing. 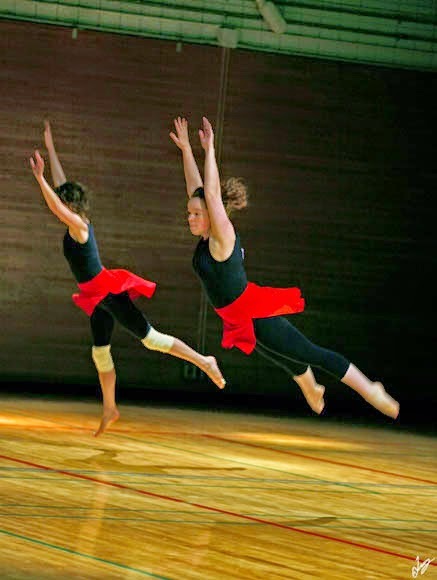 I attended the Orchesis Summer Dance Intensive in 2011 and absolutely loved the different jazz styles – funk, swing, African, lyrical - taught by Decidedly Jazz’s Sarisa Figueroa de Toledo. Kathy Metzger-Corriveau’s piece in 2013 was a great technical challenge and gave me some great jumping moments, and collectively choreographing Long Live the Circus, under the guidance of my friend and fellow drama teacher Fiona Williams, was the highlight of Motif 2014. Every year at Orchesis, I learned more about dance, I grew as a dancer and I was part of some amazing dance creations and for all that, I am so thankful. And finally, there’s no party like a Dance Party! As a drama major and a director, I’ve been to many closing night parties but Orchesis closing night parties are truly the best – hands down! The dance floor is packed almost all night, choreography is re-enacted and Thriller is performed with astonishing accuracy. There really is no party like a dance party! To all the members of the Orchesis family, I wish you all the best for a wonderful run of Motif 2015! Know that when you lock pinky fingers in your circles backstage, I’m thinking of you and cheering you on from France. Happy 50th Birthday Orchesis! Thank you for the amazing memories! For more information about Orchesis Modern Dance check out their website! Every time I see a version of R + J, I can’t help but hope that this time, it’ll all work out. But time after time, be it the play or the ballet, fate takes over, the message goes awry and the star cross’d lovers are doomed. No matter how much I hope against hope, I know in my heart the tragedy will win out. There certainly was plenty of woe in the Swedish Royal Ballet’s production of Shakespeare’s unforgettable tragedy. But the innovative choreography, intimate character studies, athletic performances and creative storytelling was what truly brought the house to its feet, for at least six standing ovations, at Palais Garnier on closing night. Juliette et Roméo was a masterpiece of contemporary ballet. There were no tights, no pointe shoes and no props. It stripped the story down to its fundamental points and blended them with original, conceptual choreography by Mats Ek for a fresh take on this timeless tale. The opening scene clearly established the two feuding families, the Montagues and the Capulets, but their fight was more symbolic than literal. There was no miming, no dance-off à la West Side Story, or any actual fight choreography. Instead the energy behind the movement became more menacing while Tchaikovsky’s score built and the tension between the groups of dancers crackled with every leap and turn. Before we knew it, the fight was over, the survivors had scattered and the stage was set for another, reinterpreted scene of the story. This creative approach drew me even further into a story I already love and paved the way for a new exploration of the plot through the perspectives of some of the minor characters. The Prince, for instance, arrived onstage as the fight was ending, and he performed a lengthy solo that was danced almost entirely on the spot. His dramatic, en cloche-style runs represented how he is constantly running after the feuding families, always arriving two steps too late and how isolated and ineffective he is as a ruler. Lady Capulet was another minor character who’s side of the story was more fleshed out. After Tybault’s death in Act 2, what began as a grief-stricken solo became a powerful piece of collective mourning as she was joined by other female dancers. Representing the women and the mothers of Verona, their dance was a sorrowful tribute to the lives lost to the senseless of the feud and to those who are left to pick up the pieces. The minor characters being so well-drawn and multi-faceted set the bar very high for the main characters but the principals of the Swedish Royal Ballet delivered some flawless performances, all underscored by solid ballet technique. Juliet’s character was very eccentric and quirky, twitching with pent-up, adolescent excitement, twirling and rolling on the floor in a bright yellow dress. Her leading man Romeo was danced with conviction and a unique combination of strength and vulnerability. The two lovers had a touching chemistry together and performed their contemporary partner work with the right balance of passion and grace. Their dancing was multi-leveled: executing light, soaring jumps one minute and sinking, literally, through the floor. Mercutio and Benvolio, Romeo’s main men, were tough, smart-assed guys with lots of attitude and the jumps to prove it. Their trio had a playful, tumbling style together and really brought the athleticism to the party. Speaking of which, the party scene was gorgeously executed on all fronts: the big group choreography, the stunning costumes and the golden, backlit lighting design. The ensemble was unwavering in its precision and versatility and the jewel-toned velvet capes and tunics moved like extensions of the dancers’ limitless limbs. The only set pieces used during the entire ballet were long, jagged partitions the dancers moved around, scene by scene to create the walls, halls and balconies of fair Verona. They also served as a literal reminder of the symbolic walls of put up between the people by the feud. The simple but effective set and costumes supported the main action – the storytelling through the mesmerizing dance and character work. I can’t say enough about how well the choreography, though very contemporary, stayed true to the original themes of Shakespeare’s play. The best example I can think of is how the simple ending image, the entire company laying onstage with their legs outstretched to the sky, encompassed the Prince’s words: “All are punish’d”. No one got away from the tragedy unscathed and that ending visual was so powerful. I love Shakespeare and I love ballet, so the evening was already a win for me before it even started. What I didn’t expect, however, was to witness such a beautiful and fascinating new interpretation of the Romeo and Juliet story. It’s so fitting then, that the Swedish Royal Ballet changed the title to Juliette et Roméo; it’s the same story, just performed with a new twist. As Juliet herself says, What’s in a name? Check out the Royal Swedish Ballet's Flickr page for gorgeous photos of this production! For more about the ballet here in Paris, check out the post Paris Opera Ballet: Lander/Forsyth from September 2014. Confession: When I first moved to France, I went to yoga class well before I took any dance classes. I did this because it had been awhile since my last dance class in Canada and I didn't want to get injured when I got back into it. I wanted to tune-up my flexibility and strength first. And since I wasn't feeling super confidant yet in my new surroundings, I practiced yoga to feel good mentally and physically in my new life. Yoga class in French is still yoga class; all the Sanskrit terms are just pronounced with a French accent! The big things – focusing on breathing evenly and being aware of alignment, etc. – are still the same. And the great thing about such a visual form of exercise is, if I do feel lost for a moment, I can just look around and follow the rest of the class. 1-Yoga helps me find the balance between pushing myself to be better and being satisfied with where I currently am. I’m sure most dancers will agree the mentality of dance is ‘push-yourself-further-than-the-day-before’ and that determination to constantly improve and grow leads to accomplishing great things. But it also gets exhausting, both physically and mentally. Yoga, with its ‘listen-to-your-body/you-are-enough-in-this-moment’ mentality, is a great counterpoint for all that drive and it helps me to quiet my busy mind when I’m on the go. 2-My flexibility is maintained through yoga. When I was younger, I could go all summer without stretching and jump right into dance class in the fall and it would only take a few weeks to get my flexibility back. Now – really not so much! Yoga helps me maintain my flexibility, especially when it’s a while between dance classes and it helps my body recover more quickly when I’m sore or not feeling 100%. 3-Increased core strength + improved arm strength = Stronger Dancer. My core – abs and back – is much stronger because of the planks, side-planks, chaturanga’s in my yoga practice and as a result, my balance is better and my turns are more consistent. I’ve also noticed my arms and shoulders are a lot stronger due to yoga, which is great when I have to throw myself around during the floor-work sections in those intense and very physical Contemporary Dance classes. And when my contemp. teachers make the class do push-ups, they’re actually doable! I share this fact with my students when I'm teaching and I make them do push-ups during the Contemporary Unit – especially when they complain. A strong dancer has a strong core and anything that helps build and maintain that is absolutely worth doing. 4-I am much more aware of my breathing. I didn’t realize, until I started practicing yoga, how much I held my breath; not just when I danced, but in my whole life. This was a huge discovery! When I felt nervous, I would hold my breath and continue to feel shaky and ungrounded…because I wasn’t breathing properly! Now I’m much more aware of my breath-holding habit, I recognize it when I’m feeling nervous or anxious, and I’m working to remind myself to just breathe and be calm. Yoga helps me feel much more grounded and relaxed overall. 5-Yoga helps me to be mindful, positive and compassionate towards myself. Like so many people, I am my harshest critic and I struggle to meet the expectations I set for myself. Practicing yoga helps me be mindful of my own self-talk. This is especially important when I’m feeling insecure in the face of a new or challenging situation. My default reaction has been to think negatively and be overly critical of myself. But this is slowly changing and it feels good; it’s not an easy thing to just up and change a way of thinking but I’m working on it and yoga helps me. I feel more confident and more appreciative of what I CAN DO, at dance class and in my life. Yoga can be done practically anywhere: in a studio or at home. 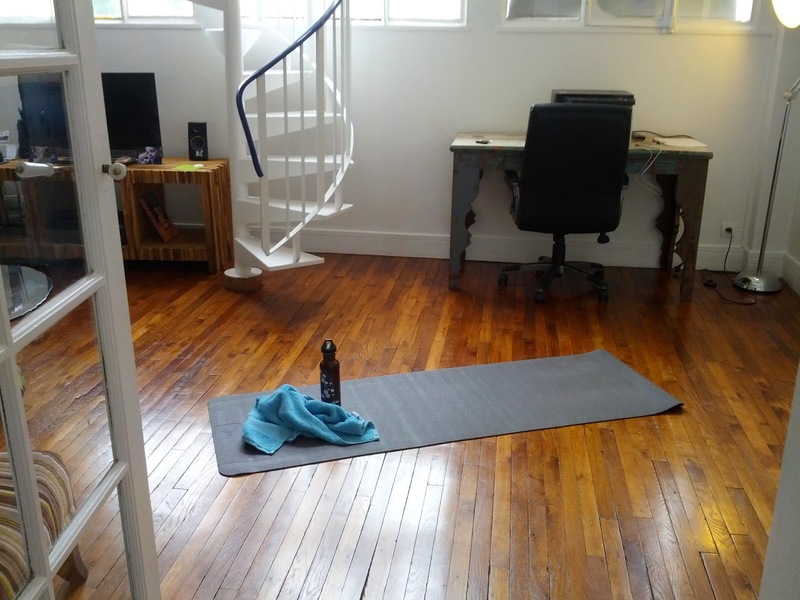 Case in point, the small living room of our temporary apartment in Paris became my own little yoga studio when most of the places near it were still closed for the summer. We’re settled in the suburbs now and I still make space for yoga at home because it’s so convenient. 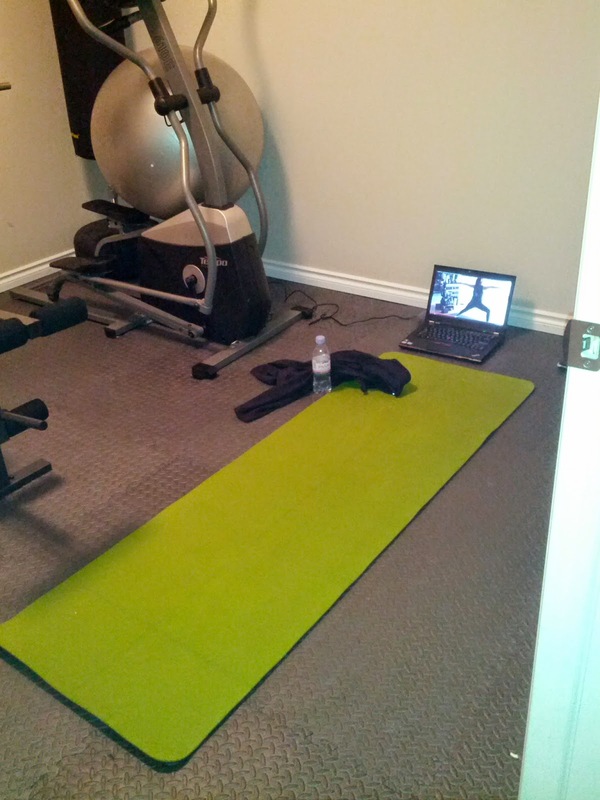 in Edmonton, AB, December 2014.
own private yoga studio, August 2014. The variety of yoga styles is incredible - slow, power-house, flow, hot, etc. I can choose a different style depending on how I’m feeling and what I want to work on. It’s empowering to have this range of choices and it also means I don’t get bored quickly. Contrary what some retailers might suggest, yoga actually doesn’t require a lot of expensive exercise clothes or equipment! Just a mat, some comfortable workout clothes and a water bottle are all that’s really needed. The classes themselves also don’t have to cost a lot; a lot of studios have special deals or promo-passes for new students. Groupon is a fantastic way to try out a new yoga studio and there are lots of yoga meet-ups online. YouTube is also an amazing yoga resource, with hundreds of different and FREE yoga videos for all levels to follow along with at home. If you're brand new to yoga, I would suggest going to some classes in person first, so you can ask questions and get feedback on your alignment, before you practice on your own at home. Always be mindful of your body and your needs when you try anything. This studio in the Old Strathcona area offers a wide variety of classes for all levels, as well as special workshops and different yoga-related events throughout the year. The instructors are excellent and very approachable should you have questions or need some one-on-one help. 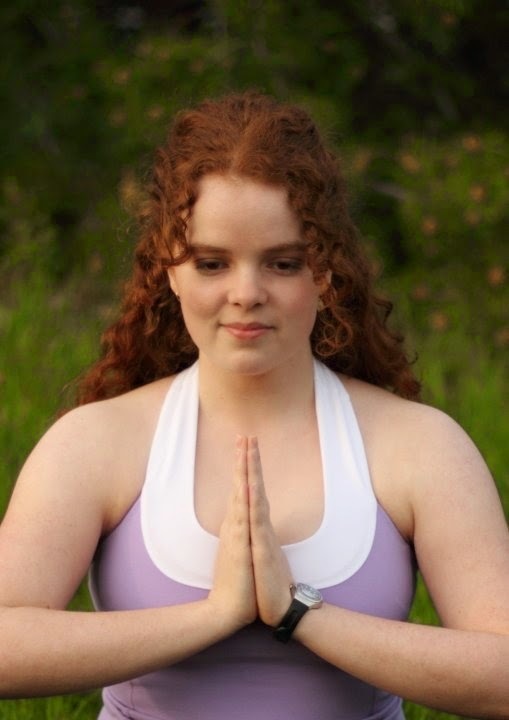 I went to a warm flow class with my sister-in-law last Christmas in Fredericton, New Brunswick, Canada, and it was great! Warm yoga can feel more intense due to the increased temperature of the studio and it’s excellent for really working up a sweat and getting deeper into the postures. Remember to hydrate well before going to a warm/hot yoga class and bring a towel because you’ll need it! This was the first studio I went to in Paris and I got so much out of their 10 class pass/35€ for new students. It’s in a lovely old building in the 14th, easily accessible by metro M4 or M6 at Raspail. They offer an extensive variety of classes for all levels and the instructors are fluent in French and English. My favorite classes are Vinyasa Flow, for a vibrant and up-beat class, and Yin, for a slow, calm, long-held-poses class. They also offer ‘Happy Hour Yoga’ classes each day for only 12€/class. American yoga instructor Lesley Fightmaster has an awesome name and some excellent online yoga videos for your home practice. Her YouTube channel offers tons of different options for all levels. I regularly follow her 45 minute Vinyasa Yoga video and it’s a great challenge, especially on those days when I have to convince myself to do it. I’m always glad I do afterwards, because it feels great to move and sweat and to conquer my own lethargy. This YouTube channel has a wide variety of yoga classes, as well as videos of relaxing music to accompany your practice. I like to do the Hatha Flow 3 42 minute class when I’m tired and/or sore because of its relaxed pace and its gentle and effective sequence. I’m so glad yoga is part of my stay-fit-and-healthy-as-an-adult-dancer regimen. I feel fortunate that in all my years of dancing, I’ve never had any serious injuries. I want it to stay that way so I can keep on dancing as much as possible through all four seasons of the year. Yoga gives me the confidence to do that and it also helps me to grow as a person. I hope this post gives you an idea of how being active through yoga can be tailored to fit any schedule, any budget and any place. Best wishes for a healthy, active and glorious 2015, wherever you may be! As it’s said at the end of yoga class, the light in me recognizes the light in you - Namaste.